Clamps are one of the most essential tools for any workshop or garage. Just when you think you have enough, you find a need for more. 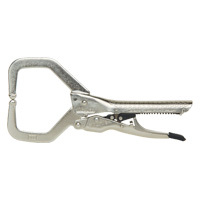 BELMONT carries a Â staggering assortment of woodworking clamps including pipe clamps, bar clamps, spring clamps, miter clamps, and much more. No matter what the job is, we have a clamp or vise that can tackle your problems.